Debora Vogel. Die Geometrie des Verzichts. Gedichte, Montagen, Essays, Briefe. (Wuppertal: Arco Verlag, 2016), 672 pages. 32,00 €. The volume Die Geometrie des Verzichts [The Geometry of Renunciation], edited and translated by Anna Maja Misiak, is the first edition of Debora Vogel’s work in any language to include all of her prose and poetry. 1 1 The volume follows the pioneering work of Karolina Szymaniak who first edited a collection of Vogel’s prose in Polish in 2006 under the title Akacje kwitną. Montaże [Acacias Bloom. Montages. ], and then authored a monograph on the author, Być agentem wiecznej idei. Przemiany poglądów estetycznych Debory Vogel [To Be an Agent of an Eternal Idea. The changing Aesthetic Views of Debora Vogel] in 2007. A Ukrainian translation of Debora Vogel’s two poetry collections Фігури днів. Манекени [Day Figures. Mannequins] appeared in 2015, followed by the German edition at hand in 2016. A few of Vogel’s poems in English appeared in Katheryn Hellerstein’s 2014 monograph, A Question of Tradition. Women Poets in Yiddish, 1586-1987. Another poem appeared in Pakn Treger in a translation by Anna Elena Torres, who has translated the author’s Mannequins collection. Hershl Hartman, Zackary Sholem Berger, and Benjamin Paloff have also translated Vogel’s work into English. However, since the number of available English texts is scant, there is a need for more English translations if Vogel is to be introduced to both scholarly and wider readership. The author of the present review published some prose excerpts from the Acacias Bloom in the Pakn Treger 2017 Translation Issue and is currently at work on translating Vogel’s Day Figures collection as her translation fellowship project at the Yiddish Book Center. It is a welcome addition to the study of Debora Vogel (Dvoyre Fogel) (1900-1942), a writer, philosopher, art critic, and intellectual who has often been written out of the history of the European avant-garde and of Yiddish modernism. Misiak’s German-language project is ambitious and presents the wide range of genres, themes, and linguistic concerns of the talented writer. Die Geomtrie des Verzichts also highlights the linguistic range and creative talent of Debora Vogel through the addition of scholarly annotations, contextual commentary, and an afterword by the editor. At its center, the volume presents a bilingual corpus of Vogel’s poetry in Yiddish and German; unfortunately, the Yiddish is also presented in German letters. Such an approach to translation might be an attempt to increase the accessibility to Yiddish for the German audience, but it also works to domesticate the material. If the goal of a bilingual work is to make the original present on its own terms, this presentation reduces linguistic difference. Despite the distraction of presenting the Yiddish poetry in transliteration, Misiak has productively chosen to include poems from across Vogel’s career, including work from her first collection, Tog figurn [Day Figures] published in 1930. The collection of Vogel’s Cubist-Constructivist cityscapes encapsulates a mood of stasis, monotony, and boredom. With its synaesthetic interplay of words, colors, materials, and geometrical figures, the collection also serves as an inspiration for the overall title of the translated volume, Die Geometrie des Verzichts [The Geometry of Renunciation]. Poetry is also presented from Vogel’s second book, Manekinen [The Mannequins, 1934] which is a “continuation of the Constructivism of Day Figures,” according to Vogel’s own afterword. The Mannequins’ two sequences, Trink lider [Drinking Songs], and Shundbaladen [Bawdy Ballads] also serve as “an expression of the decorative-consumptive world view” and are rich in allusions to other Yiddish works, such as Itzik Manger’s Ballads. The collection also elaborates on the theme of monotony and repetition as well as alienation that is brought about by modernity. Finally, the collection includes the author’s late poetry that was scattered in a variety of Polish and American journals, including In zikh, Der nayer morgen, and Literarishe bleter. Alongside the poetry, the volume also presents German translations of various montages from Vogel’s prose collection Acacias Bloom; the translations in the present edition are based on the Polish edition of Vogel’s work. The collection’s three parts appear in reverse chronological order, with the last part Flower Shops with Azaleas (1933) coming first, and the earliest, The Building of the Train Station (1931) coming last. The themes and leitmotifs in Vogel’s prose could be characterized as the working out of the banality of everyday life—specifically, the notion of shund. Here, the term refers both to aspects of decay, in general, and the aspect of disintegrating language, comprised of clichéd expressions, hackneyed popular songs, and saccharine inscriptions on the city walls. Shund or “low” literature in Yiddish dates back to the 1870s in Eastern Europe and was especially popular in the 1930s. It saw its rise on the pages of the Yiddish press that often serialized novels with the typical pulp fiction melodramatic content such as romance, vengeance, money, and in the formulaic characters and plot lines of the Yiddish plays. Vogel experiments with including aspects of these “lowbrow” works, such as sentimental and trite remarks about love and the meaning of life, in her “high” fiction that deconstructs both the idea of the novel at large and the idea of the appropriate language and content of a Modernist text. The guiding principle of literary montage which Vogel posits here and also in her theoretical work is based on the simultaneity of two events, one of which is usually at the forefront of human perception (an event of political or social importance), and another one that is seemingly unimportant (cyclical and located in the sphere of the natural world). Vogel’s examples are communicated through the metaphors of shapes: the figure of a rectangle made up of soldiers marching on the street is juxtaposed with the circular perfection of the flower blossoms. Misiak appends the collection of montages with other fragments (some published in journals, others translated from unpublished manuscripts found in the archives). These fragments allow readers to trace Vogel’s method in her “laboratory” of experimentation more fully, a method based on Constructivist principles, repetition of banality, and the sustained analysis of commodification, militarization, alienation, and other social ills. Besides the collection of bilingual poetry and montages, the volume also features Vogel’s prose in German translation only, along with German versions of the author’s essays, and correspondence. Vogel’s essays included in the volume reveal her exquisite erudition and the theoretical interventions that she made in poetics (with essays such as “White Words in Poetry” and “Stasis, Dynamism, and Topicality in Art,” “Remarks on the Literary Montage,” “Dialectical Novel”), art criticism (“Henryk Streng, a Constructivist Painter”, “On the Abstract Art”), the study of racism and antisemitism from a psychological perspective (“Exotic Humans,” “Lemberg’s Jewry”), and the polemics on the societal role of the progressive intellectual (“A Few Remarks on the Current Intellectual Elite”). Unfortunately, a key essay on Marc Chagall that Vogel published in two installments in the Tsushtayer (a literary journal published from 1929 until 1933 in Lemberg co-edited by Vogel and Rokhl Auerbach) was not included in the volume. The omission of the essay is significant, as apart from analyzing Chagall’s method, Vogel develops parts of her own aesthetic theory in the essay. Nevertheless, the range of selected texts testifies to the scholarly strength of the volume. One clear strength is that Misiak has collected Vogel’s work from across a range of Polish, Yiddish, and even Swedish press outlets; Vogel’s essays appeared in the Swedish-Jewish publication Yudisk-tidskrift at the invitation of her uncle, Marcus Ehrenpreis, the chief rabbi of Stockholm at the time. Alongside essays, the collection includes Vogel’s letters as well as reviews and polemics concerning her work. The combination illuminates the transnational networks of Jewish and Polish intellectuals of the interwar period in more detail. Vogel is perhaps most famously known for her correspondence with the Polish modernist Bruno Schulz whom she mentored and encouraged to write and publish, yet this relationship and Schulz’s figure often overshadows Vogel’s own aesthetics. Thus, the inclusion of Vogel’s letters not only to Schulz but also to Shlomo Bikl, Ezekiel Brownstone, Marcus Ehrenpreis, Aaron Glantz- Leyeles, Meylech Ravich, and Moshe Starkman—important figures in the Yiddish world of letters—subverts the one-sided treatment of Vogel as Schulz’s “muse.” It allows for a more complex understanding of Vogel, bringing together her own first-person accounts of her projects as well as the exchange of ideas she pursued with other intellectuals. A benefit to both Yiddish Studies in general and Vogel studies specifically, these texts enrich what we know about interwar Yiddish intellectual networks. Anna Maja Misiak’s afterword to the volume traces Vogel’s intellectual biography against the background of modernization, urbanization, the crisis of bourgeois society, the strengthening of the proletariat, and the politicization of intellectuals. Vogel’s intellectual principles, namely Hegel’s dialectic and the attention to the “thingness” of things in the Heideggerian sense, as well as the aesthetics of Introspectivism and the possibilities of the Yiddish word that the author utilized are also considered in a detailed way. Misiak underlines Vogel’s textual experiments in relation to Cubist, Constructivist and Purist tendencies in visual arts and architecture, and philosophical debates about the nature of reality specifically in the Polish intellectual circles. 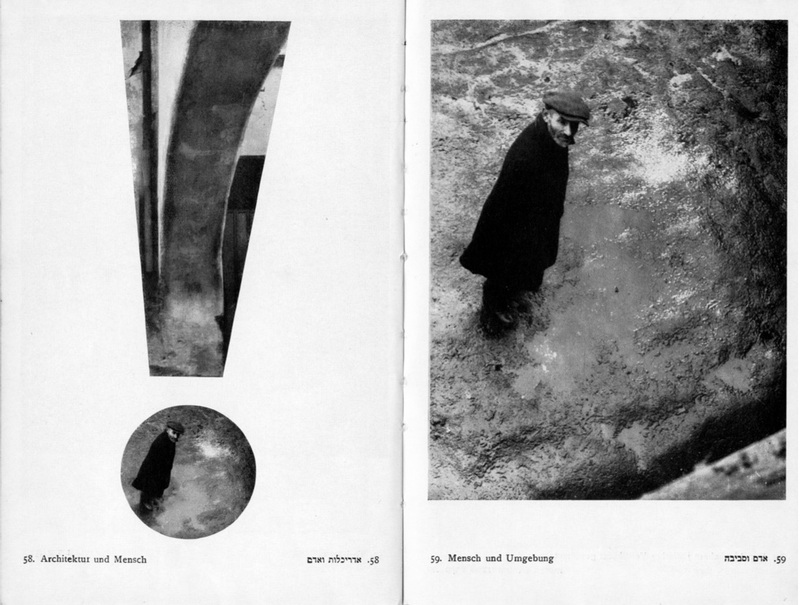 Furthermore, Misiak reads Vogel’s geometrical figures, the predominance of the color gray, the use of kitsch and banality, and theorizations of literary montage in the German context, mentioning the names of Wasily Kandinsky, Laszlo Moholy- Nagy, George Grosz, and Hanna Höch. Thus, the volume is an important contribution for widening the perception both for German scholarly and wider audiences of the Yiddish modernist’s participation in the European avant-garde. 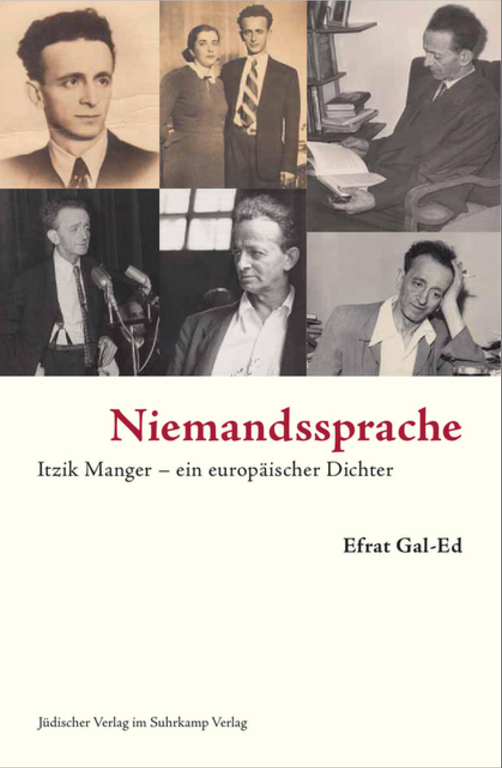 Misiak’s volume of selected writings by Debora Vogel is also another work of literary scope and ambition in German, similar to Efrat Gal-Ed’s recently published biography of Itzik Manger Niemandsprache: Itzik Manger – ein europäischer Dichter [No One’s Language: Itzik Manger- a European Poet]. The appearance of these works poses the question of how to create a productive conversation between the European Yiddishists (in this case German) and their American colleagues. (The question was similarly raised on the pages of In geveb by Jenna Ingalls in her review of Gal-Ed’s work.) In geveb’s important effort today is to facilitate scholarly and pedagogical inquiry into the corpus of Yiddish writing in novel ways, including making available teaching materials, translations and research on the archives of cultural production in Yiddish in digital form. The scholarly discourse on Yiddish and in Yiddish calls against its monologization. It should be equally receptive to contributions in languages other than English, inviting the German, French, Polish, Ukrainian, and other European Yiddishists, especially as they initiate scholarly conversations on the overlooked Yiddish writers in the hope that American academic discussions will follow. Renewed interest in figures like Debora Vogel expands the field of American Yiddish Studies in acknowledging the contributions of Yiddish women writers to poetry, and especially illuminates women writers’ overlooked prose and critical oeuvres. The volume follows the pioneering work of Karolina Szymaniak who first edited a collection of Vogel’s prose in Polish in 2006 under the title Akacje kwitną. Montaże [Acacias Bloom. Montages. ], and then authored a monograph on the author, Być agentem wiecznej idei. Przemiany poglądów estetycznych Debory Vogel [To Be an Agent of an Eternal Idea. The changing Aesthetic Views of Debora Vogel] in 2007. A Ukrainian translation of Debora Vogel’s two poetry collections Фігури днів. Манекени [Day Figures. Mannequins] appeared in 2015, followed by the German edition at hand in 2016. A few of Vogel’s poems in English appeared in Katheryn Hellerstein’s 2014 monograph, A Question of Tradition. Women Poets in Yiddish, 1586-1987. Another poem appeared in Pakn Treger in a translation by Anna Elena Torres, who has translated the author’s Mannequins collection. Hershl Hartman, Zackary Sholem Berger, and Benjamin Paloff have also translated Vogel’s work into English. However, since the number of available English texts is scant, there is a need for more English translations if Vogel is to be introduced to both scholarly and wider readership. The author of the present review published some prose excerpts from the Acacias Bloom in the Pakn Treger 2017 Translation Issue and is currently at work on translating Vogel’s Day Figures collection as her translation fellowship project at the Yiddish Book Center. Lyubas, Anastasiya. 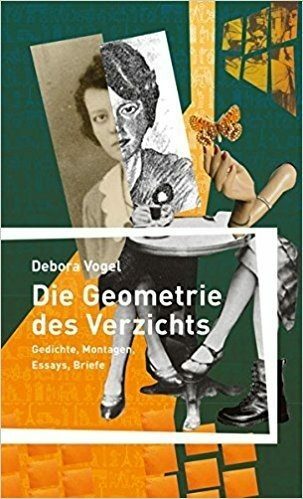 “Die Geometrie des Verzichts: Deborah Vogel's poetry, essays, and letters in a new German translation and compilation.” In geveb, March 2018: https://ingeveb.org/articles/die-geometrie-des-verzichts-deborah-vogels-poetry-essays-and-letters-in-a-new-german-translation-and-compilation. Lyubas, Anastasiya. “Die Geometrie des Verzichts: Deborah Vogel's poetry, essays, and letters in a new German translation and compilation.” In geveb (March 2018): Accessed Apr 21, 2019. 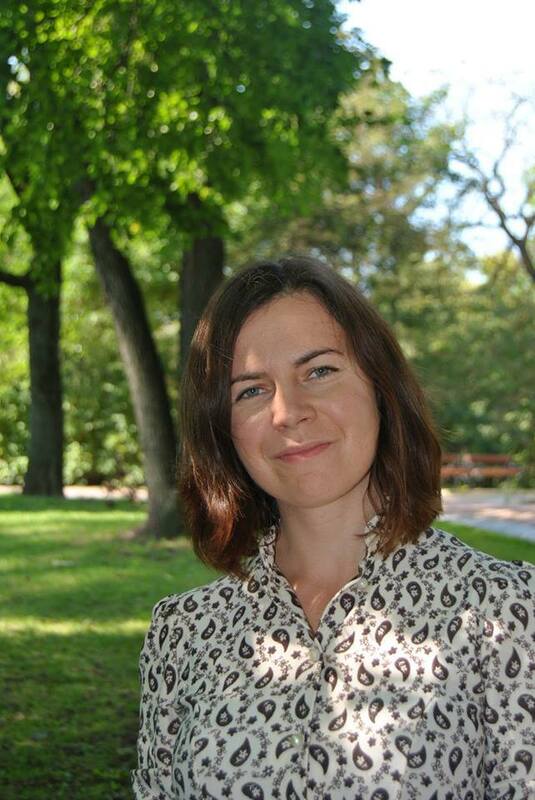 Anastasiya Lyubas is a doctoral candidate in Comparative Literature in Binghamton University in upstate New York.